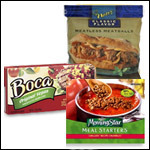 Our message here is pretty simple: KEEP VEGGIES AROUND, convenient ones in particular. 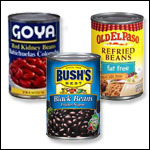 These are in the number-one spot for a reason -- quick-cooking veggies can be a great base for any dinner, especially when matched with other items from this list. 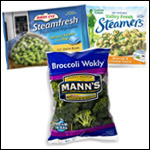 Fresh picks like the kinds by Mann's (Broccoli Wokly is a longtime fave) are awesome, and frozen finds like options by Green Giant (even the ones with sauce!) and Birds Eye Steamfresh are EXCELLENT. If this category sounds vague, it's because it's home to SO MANY useful products in the HG arsenal. Frozen meatless burger patties (veggie or soy-based) are great for sandwiches; you can also chop 'em and add 'em to salads, stews, stir-frys, etc. Pre-made meatballs (click here for our picks!) and ground-beef-style soy crumbles (like the kinds by Boca and MorningStar Farms) are also great to keep on hand; both heat up quickly and are super-versatile! Easy shepherd's pie, anyone? Here's the thing about a good creamy tomato soup -- not only is it delicious plain, but it also goes well with a slew of different add-ins. AND it makes a great marinara swap for noodles, veggies, meats... whatever! 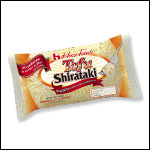 You can even toss it with some cooked broccoli cole slaw and reduced-fat Parmesan topping for a guilt-free pasta swap. 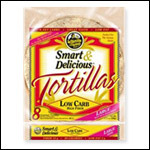 Just look for one with 4 grams of fat or less per 1-cup serving. 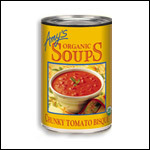 Amy's Chunky Tomato Bisque is our number-one soup squeeze! Another couple of good hot-or-cold options. These go WAY beyond scoopable salads. (Not that those don't rock.) Roll salmon up with fruit, veggies, and teriyaki sauce in one of those tortillas we shouted out earlier. Make Italian-style tuna wraps. 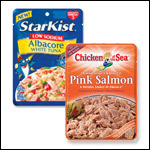 Or keep it classic, and make a scoopy salad out of tuna or salmon. "Hungry Girl, aren't we talking about DINNER?" Get over that hurdle -- eggs are GREAT any time of day. 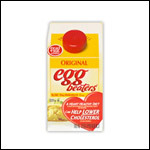 And egg substitute is especially great because it's easy to use and cooks incredibly fast. Got some random no-guilt leftovers lying around, but not enough for a meal? Use 'em as the filling for an impromptu omelette! Or you can just throw some chopped items into a mug with light cheese and egg substitute, and have yourself an egg mug. This Chinese-food-inspired mug is definitely evening appropriate. For something more filling, stuff your egg-mug goodies into a high-fiber pita. Those pals of yours who are always in a rush could use this email -- click "Send to a Friend" to get it to them ASAP!